Fancy paying the correct amount for good and services? Apple Pay might not be for you, then. 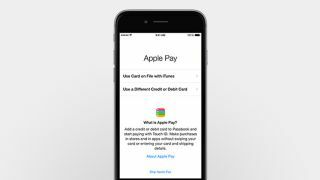 The new point-of-sale payment method equipped on the iPhone 6 and iPhone 6 Plus is supposed to make paying easier, but some users, including a reporter at CNN, are reporting that they've been charged twice for the same transactions. The site's reporter experienced the bug himself when he was double-charged for every transaction he completed with Apple Pay on a single day. Bank of America is to blame, according to Cult of Mac, and they've issued a statement promising refunds to all affected parties. It's worth noting, though, that the bank referred CNN's reporter to Apple, saying it wasn't a problem on their end. And guess what Apple said? Apple's policy of not keeping any transaction records may be in the best interest of consumers, but it also makes it impossible for the company to rectify situations like this. It's a good thing BoA has taken responsibility, but one has to wonder where the trouble really lies.